If you’re like me and follow a bunch of shows from different streaming sources, then you already know how hard it can be to keep track of each new episode that comes out every single week. That’s exactly why our team developed the tracking feature for TV shows and movies! 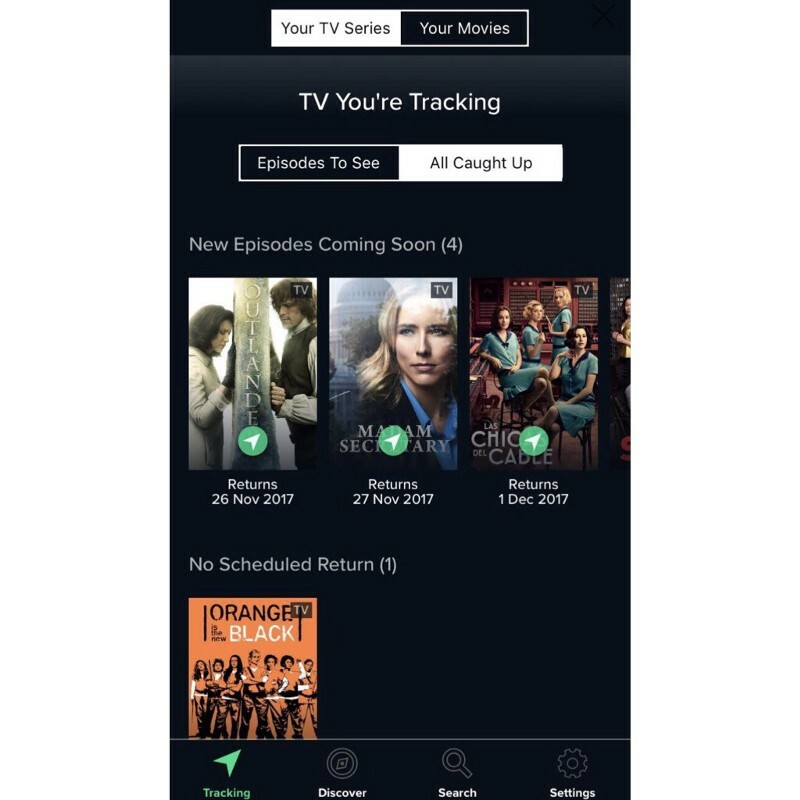 The Reelgood app does all the work for you, and even sends notifications* when a show you’re tracking has a new episode or returns with a new season! 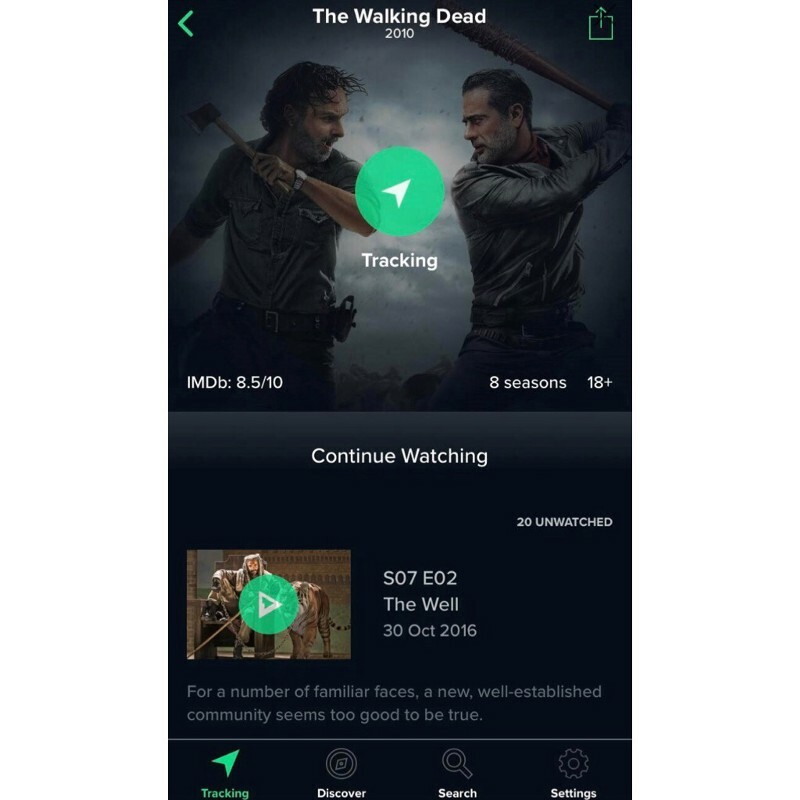 When you launch the Reelgood app and log in, it will take you to your watch list aka the Tracking tab. 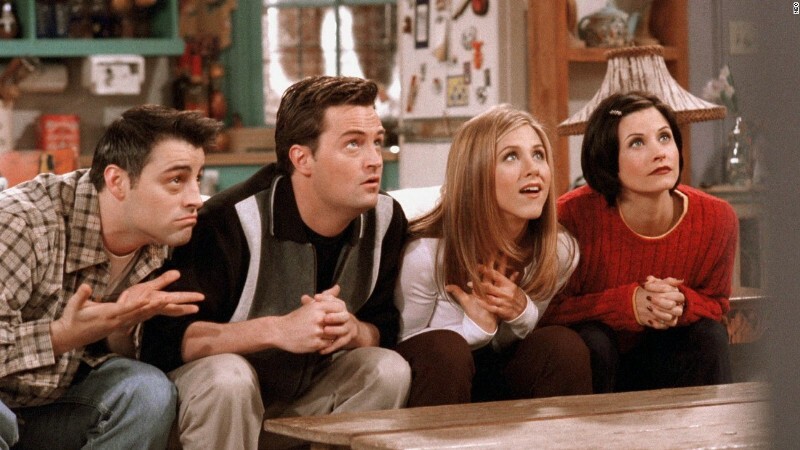 It has two sections — Your TV Series and Your Movies, but for this post we’ll focus on TV series. 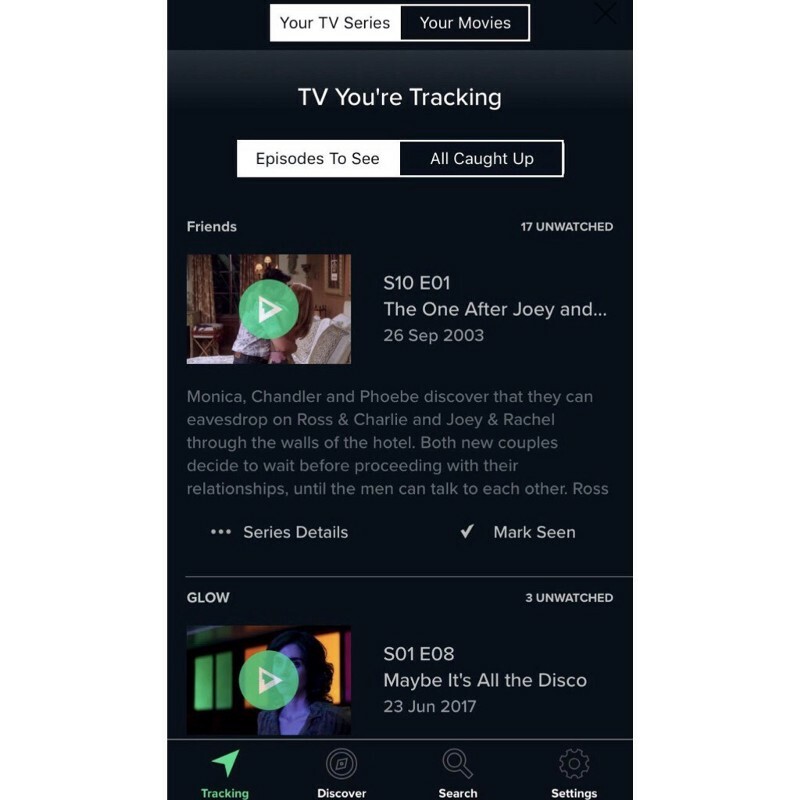 Under Your TV Series, you’ll see the Episodes to See tab and the All Caught Up tab. The Episodes to See tab is basically your Watch Next list. It displays a list of all the episodes you have yet to see from shows you are tracking. The All Caught Up tab shows you all the series you’ve watched every episode of and when they’ll be back with a new episode or season. Launch the Reelgood app and log in. 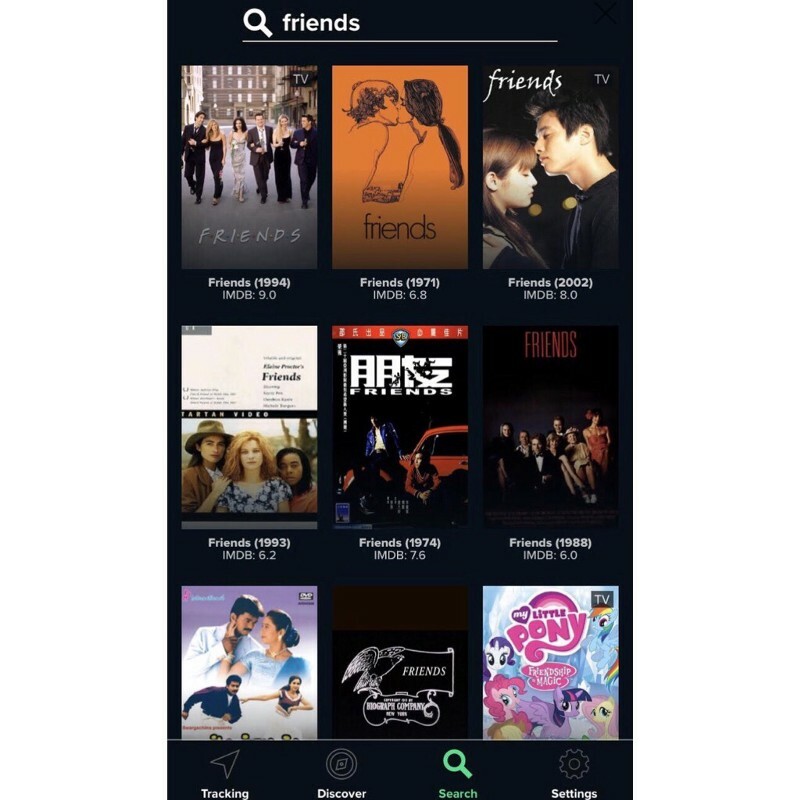 When you tap on Friends, you’ll open the show’s details page which has a Track button right in the middle of the cover photo. 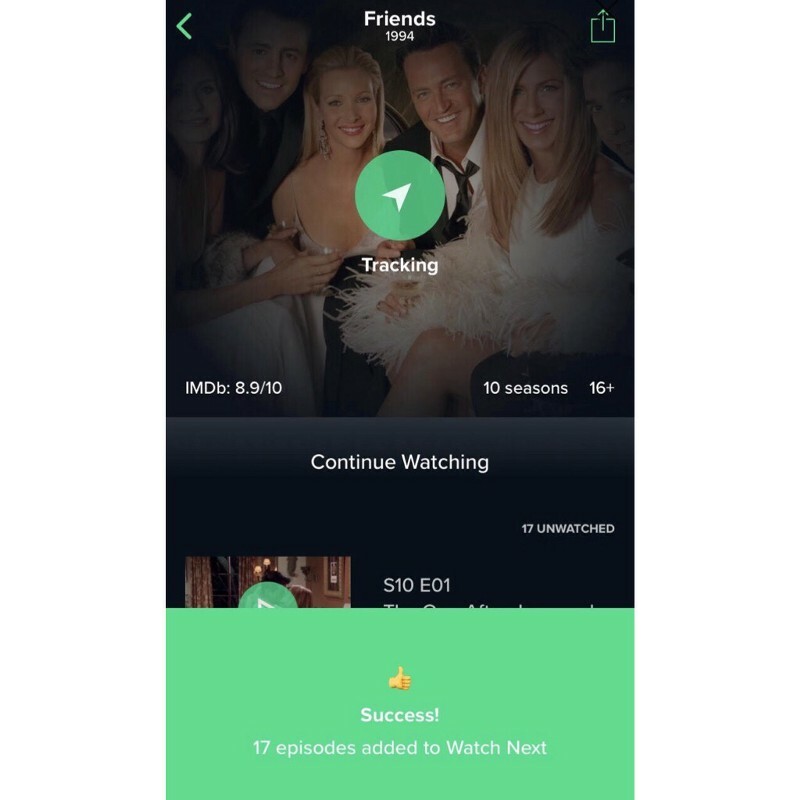 Tap the Track button and the app will ask how much of the show you’ve seen — All, Some, or None. 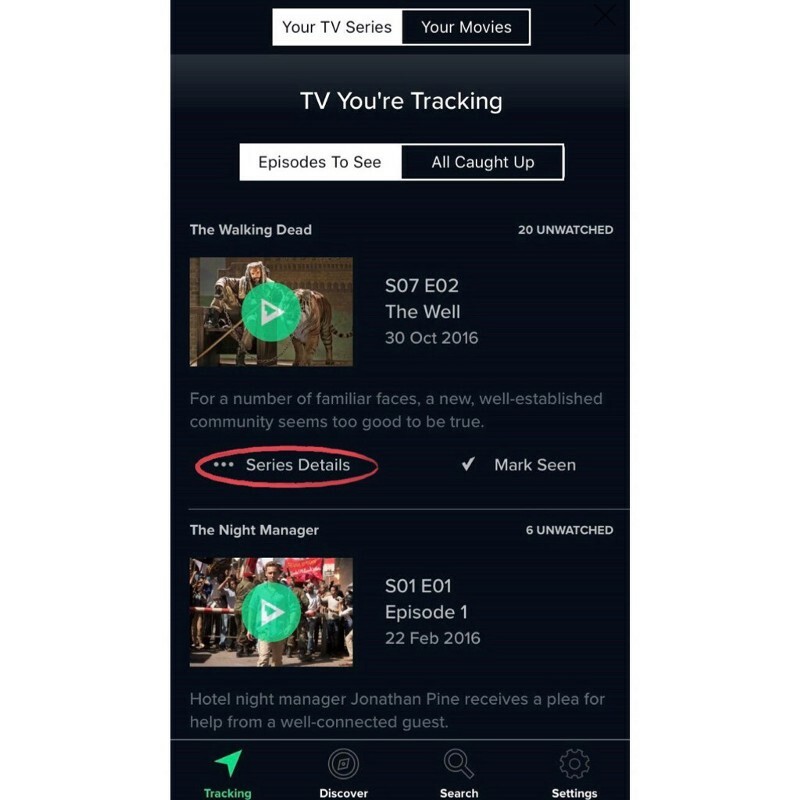 If you choose Some, the app will ask you to specify the last episode you watched. Be honest now! 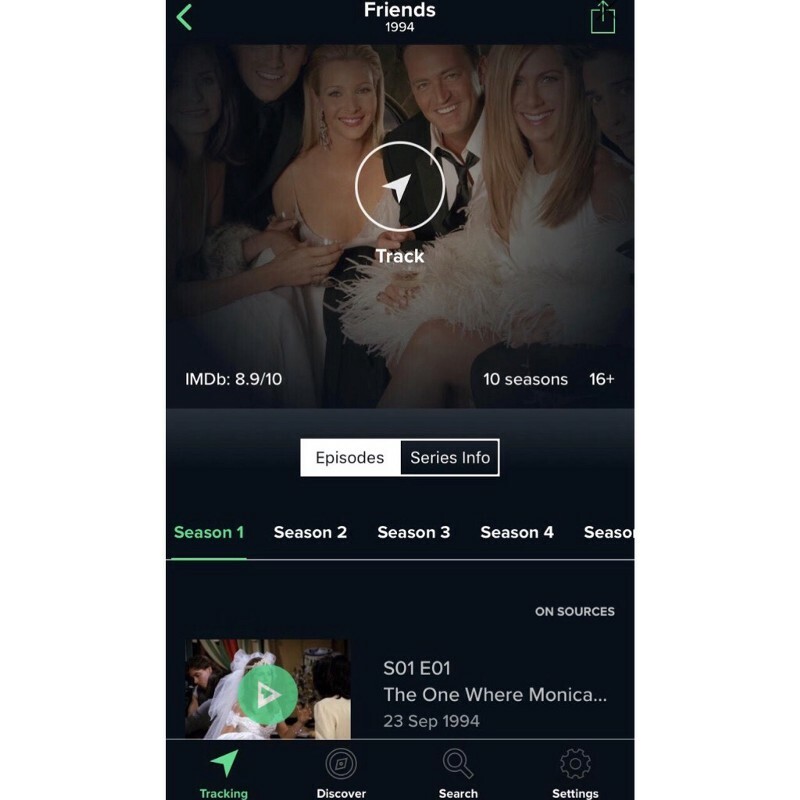 For the purpose of this tutorial, I chose Some and told the app I watched up to Season 9 of Friends, which explains why 17 episodes were added to Watch Next. Easy! Now when you go back to the Tracking tab, the show you added will be under TV You’re Tracking with epsiodes to see. Click Series Details for the show you want to remove from your watch list. Now just click the green Tracking button in the middle of the cover photo. And you’re done! You are no longer tracking the show. One thing to remember is that even if you remove a show from your watch list, Reelgood will still remember which episodes you’ve previously marked as seen. So if you decide to rekindle your relationship with an ex-favorite, just click the Track button again and Reelgood will be right there — ready to help pick up the pieces. Now if you happen to be an Android user — never fear, as the tracking feature is absolutely NOT limited to our iOS app! Here’s how to do the same stuff, but this time through the Reelgood website. When you go to Reelgood.com, your Watch List will automatically be in the homepage after you log in. Yes, right under your nose! Right off the bat, Reelgood lets you know how many episodes you have yet to watch for a particular show. And if you scroll down just a little bit, you’ll see the Waiting For New Episodes section which shows you exactly when a new episode or season comes out for shows you’re all caught up on. Neat, isn’t it? Go to Reelgood.com and log in. 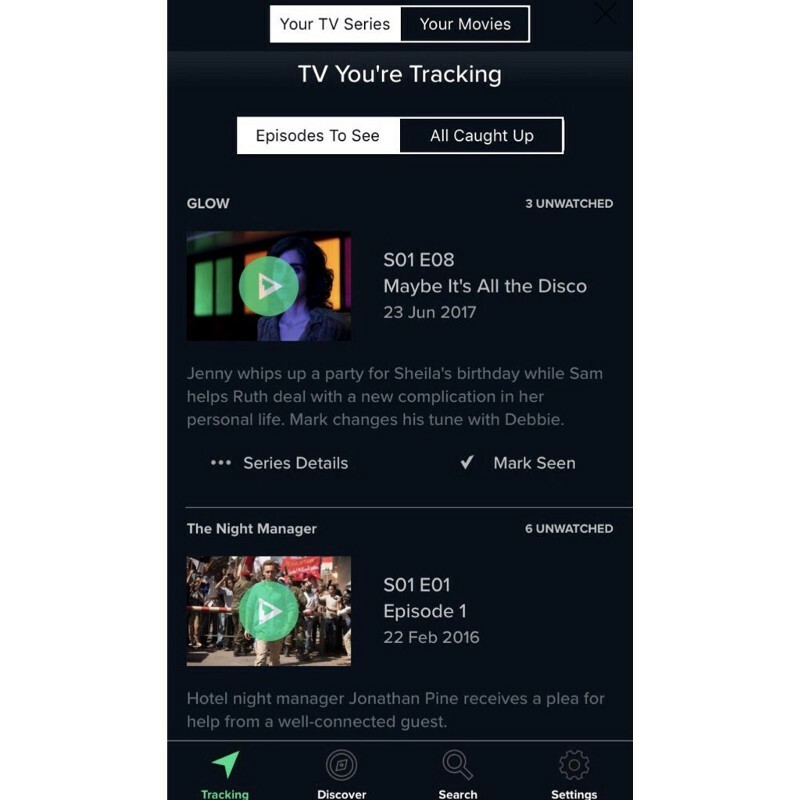 Do a search for the show you want to track. This time, I’ll use Parks and Recreation as an example. Once you click on the show, it should take you to the show’s page on Reelgood where you’ll see the Track It button right beside the poster. When you click Track It, a bubble should pop up at the bottom of your screen asking how much of the show you’ve seen — All, Some, or None. If you choose Some, Reelgood will ask you to specify the last episode you watched. For the purpose of this tutorial, I chose Some and told Reelgood I watched up to the end of season 6 of Parks and Recreations which explains why the bubble says I have 13 episodes left to watch. If you ever get tired of a series, you can remove it from your watch list in less than 5 seconds! Go to the Reelgood homepage and log in to see your watch list. Then hover over the show you want to stop tracking, and you’ll see the green Tracking button. Click it, and that’s that! The show has now been removed from your watch list. Note that even if you remove a show from your watch list, Reelgood will ALWAYS remember which episodes you’ve previously marked as seen. So if you want to pick up where you left off, just re-Track the show and you’re all set! *notifications are only sent when you have 1 or no episodes left to watch for a particular show. In other words, you’ll only get notified of new episodes when you’re all caught up!